"I need you to keep these girls safe . 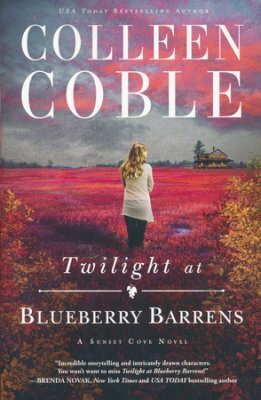 . ."
Set on the beautiful coast of Maine, Twilight at Blueberry Barrens brings together suspense, romance, and the hope that one day new life will come again. Buy the book HERE. Best-selling author Colleen Coble's novels have won or finaled in awards ranging from the Best Books of Indiana, ACFW Carol Award, RWA’s RITA, the Holt Medallion, the Daphne du Maurier, National Readers' Choice, and the Booksellers Best. Most recently she was the winner of the 2012 Carol Award for Romantic Suspense. She has over 2 million books in print. 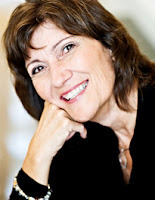 Colleen is CEO of American Christian Fiction Writers and is a member of RWA. Colleen has the extraordinary talent of bringing the collaborative spirit to everyone she meets. She lives with her husband in Indiana and enjoys spending precious time with her adorable grandchildren. Learn more about Colleen and her books HERE.